I started my career with a tyre business called Hemel First Choice Tyres in Hemel Hempstead for 5 years. 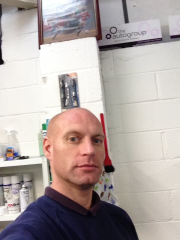 I set up my own tyre business within Bury Road Garage in Hemel Hempstead for around a year. I moved to Bourne End Servicing & MOT for 2 years, I relocated the business to Apsley after the original site was sold and I was there for over 3 years. I moved to Ipswich and set-up my business called Danny the Mobile Mechanic I mainly outsource to 2 garages in the area and also work mobile as well. I cater for all makes and models of vehicle and tackle all repairs. Very helpful. even though he was shipped the wrong part he sorted the problem, kept us well informed and worked late to get the job done. I had been badly let down by another garage so was a bit anxious about this guy actually turning up but I didn't need to worry as he came within the time frame agreed, put my mind at ease and returned my dear old 16 year old car fit for another year with just minor work needed. Very happy indeed! Daniel was excellent. Very happy with the work carried out and at a convenient time for myself. Absolutely fantastic came on time explained everything well worked really hard and carried out the job to a top standard. I would recommend him. Yes very happy with the work carrried out and friendly mechanic. There is no more I can added to this. Great service... I appreciated the thorough checks carried out to address my concerns over possible faults with the car and the clear explanation he gave as to his findings. Certainly seemed very knowledgeable and offered to come back to look at the car again if issues continued.